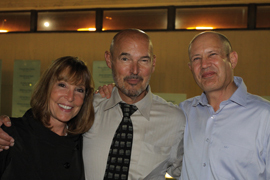 Nancy Grand, Stephen Grand, and Prof. Gideon Grader, former director of the Grand Technion Energy Program. 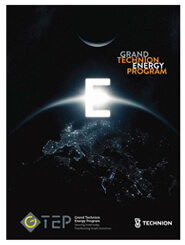 The Grand Technion Energy Program (GTEP) was set out to foster basic and applied multi-disciplinary energy research and advance graduate education in energy, leading to the adoption of clean and efficient energy technologies. 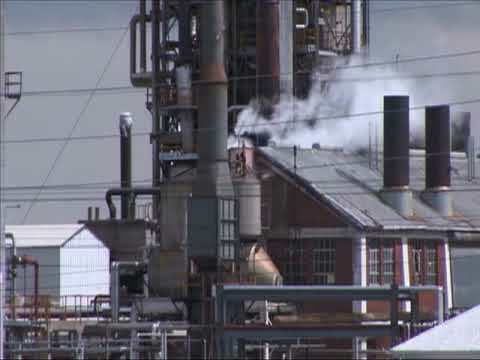 The GTEP MISSION is to advance research in energy fields by supporting ambitious projects with global impact, to promote multidisciplinary cooperation, attract new faculty and top graduate students, investing in the promotion and development of appropriate infrastructure and strengthen academic and industrial national and international collaborations. The Nancy and Stephen Grand Technion Energy Program is bringing together the best science and engineering researchers to work in a broad interdisciplinary track to discover and exploit alternative and renewable energy sources, to search for and develop alternative non-carbon based fuels, to seek solutions for more efficient energy use, and to reduce the environmental damage caused by the production and burning of fossil fuels. The Technion is ideally positioned to carry out this research because of the outstanding quality of its researchers and its well-developed ties with industry. The Grand Technion Energy Program is dealing with four key program areas: Alternative Fuels, Energy Storage and Conversion, Renewable Energy Sources, and Energy Conservation. Proposed research topics that these areas will address are: expanded uses for solar energy, including solar photo-voltaic cells, for the generation of electricity, solar-powered air conditioning and solar process heat; development of non-carbon-based alternative fuels; biomass generation of combustible gases; wind turbine design; energy storage; optimization of urban planning for energy conservation; improving engine performance by reducing friction and using advanced combustion processes; and the development of power sources for microelectronic devices. This is the dawn of a new industrial revolution: a global transformation creating cleaner, more sustainable sources of energy to power advanced civilization. A healthy population, a strong economy, and a clean environment depend on new ways to harness and use energy.